Thailand, one of the world’s top tourists’ destinations, receiving over a million people per year. It goes without saying that a lot of people flock here due to its ridiculously stunning beaches. Located in the heart of South Asia, it offers miles of tropical beaches, exhilarating cultural experiences and fantastic marine and reef life for underwater enthusiasts. 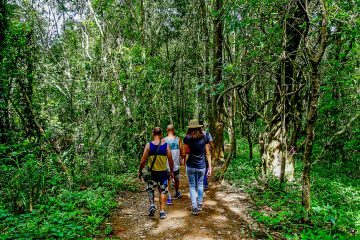 These places vary from wild current swept rocky landscapes to gentle sloping coral reef. To help you plan your next underwater holiday, here are a few of the best scuba diving sites in Thailand waiting to be explored! To start things off, I’ll begin with my personal favorite, Hin-Daeng and Hin-Mouang also known as the red and purple rock. If you’re a ‘life-below-water’ fan, this is your best shot to see gray sharks and manta rays. However, that’s not all you get as at the red and purple rock; you get an exciting experience of diving Thailand’s biggest vertical wall, next to caverns and caves that add a thrill to the adventure. These dive sites are feeding grounds for pelagic fish, allowing you to see lots of large creatures during your dive. The currents in these areas can be quite strong so experienced divers are recommended. Highlights: Large pelagics, cave dive, Grey Reef and Leopard Shark sightings, and if you’re lucky, you can also spot a whale shark which occasionally hangs around this spot. Another great dive is the Koh Dok Mai, a superb wall and drift dive with crevices lurking, hidden caves and limestone rock face. 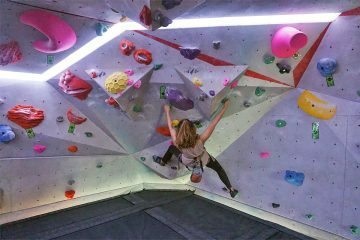 If you want to have an electric experience, this is the place to go. When you’re diving, keep an eye out or you might miss an eel peaking out of the yellow tube corals. The best time to dive at this specific place is around midday as the sun provides an illuminating effect, giving you the perfect glimpse of baby sharks nursing, depending on the season. There are three sides of walls making up this large limestone rock, boasting of different creatures which can be found in every nook and cranny. Because of its interesting formation, this can also be done as a night dive. A small cave (about 5 m straight in) leads to a huge cavern with fairly strong currents adding to the whole thrill and excitement of this dive spot. 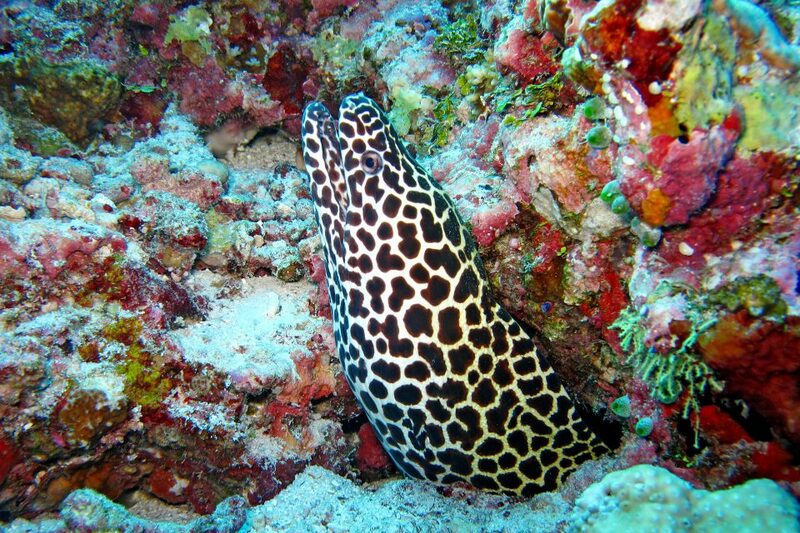 Highlights: Several species of moray eels, large soft corals, sea horse, and leopard sharks which often lurk around. Richelieu Rock is a horseshoe-shaped rock in the Andaman Sea, and is one of the best dive sites in Thailand. If you are out to look for barracuda tornadoes and schools of tropical fish, this is the place to be. Be sure to spot seahorses, pipefish, cuttlefish and even shovel nose rays while you are there. The huge center pinnacle surrounded by small rocks are covered by soft corals, anemones, sponges and large sea fans. It is truly a sight to see! 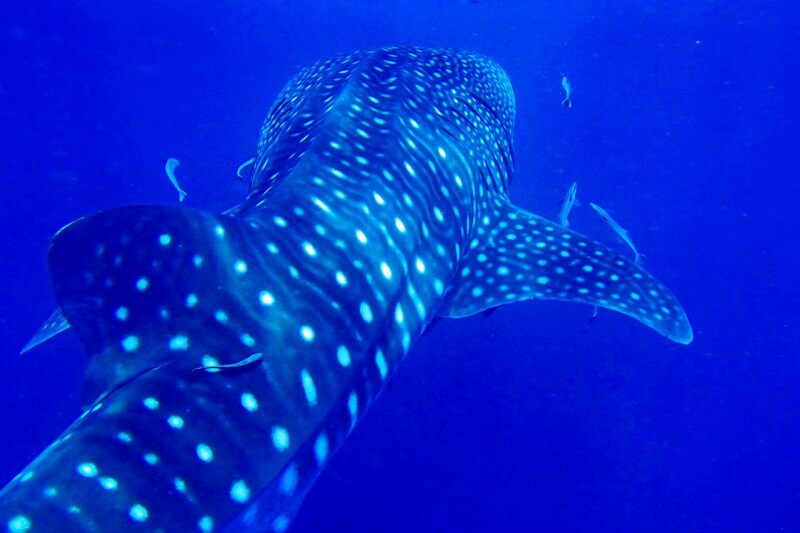 Although there are lots of dive sites in Thailand where you can see whale sharks, the nutrient-rich waters contain loads of planktons which attracts whale sharks all the time. This dive site is HUGE attracting a lot of large and small creatures waiting to be discovered. The currents in these dive sites can be a bit strong so again, only advanced or experienced divers are recommended to give it a try. Similarly, Koh Tachai and Koh Bon are sites which are part of the Similan Island National Park. It is well known for being one of the best dive sites in Thailand where you can spot mantas. Apart from this, you can also often find black tips reef sharks and eagle rays. Koh Tachai is also known for its epic swim throughs and channels which you can drift around in. Together, these islands in the North of Similan are known as the best scuba diving in Thailand. Altogether, they boast of large pelagics like barracudas, trevally, and tuna. Highlights: Possibility of seeing whale sharks, manta rays, and eagle rays. Located within the premises of the National Park, the Similan Islands offers one of the best diving sites in the entire Thailand. 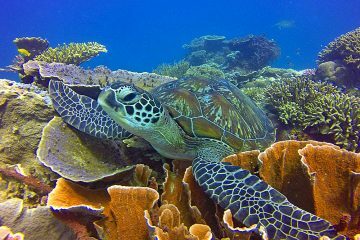 Within the area, there are about 20 different dive sites which you can explore, all boasting of a wide variety of creatures. Elephant head or (Hin Pusar) is known to be one of their best dive sites within the area due to its intricate maze-like rocks composed of swim throughs, channels and gorges reaching depths of over 40m. It is really something else and is pretty out of this world! Other notable sites within the area are Christmas Point and Fantasea Reef. Highlights: The untouched waters, the wide variety of corals and fish, leopard sharks, turtles, and the challenging maze-like swim throughs and currents. If you’re looking for great diving along the Gulf of Thailand, Koh Tao is probably your best bet. Popular amongst people doing PADI certification lessons, no dive is complete in Koh Tao without visiting the Chumphon pinnacle. The entire top bit of the pinnacle is full of anemone, making it home to loads of fish, white moral eels, crabs, and shrimps. The deeper you go, you get to see more holes as you descend down this wall. Along the way, you will see juvenile barracudas, trevallies, bannerfish and a lot more. Whale sharks sometimes come for a visit, depending on the season. Other types of sharks used to frequent this area but they aren’t so common anymore. 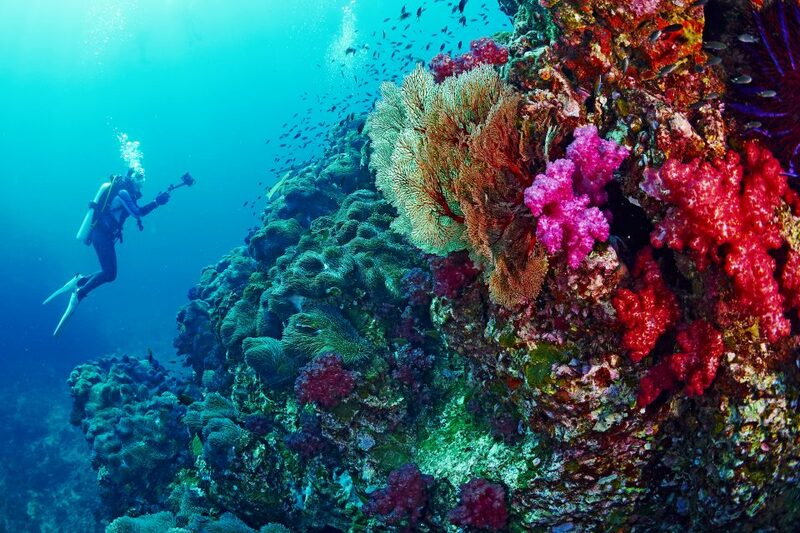 Highlights: Large schools of fish, colorful reef, and marine life. For history lovers and students, we have not forgotten you. HTMS Sattakut is one of Thailand’s premier wrecks which was sunk on 18th June 2011 near Koh Tao. Furthermore, the landing craft infantry, also known as (LCI) was one of the infamous assault ships during world war two. This artificial reef harbors both of the two historical vessels which has turned into a home for various types of marine life. 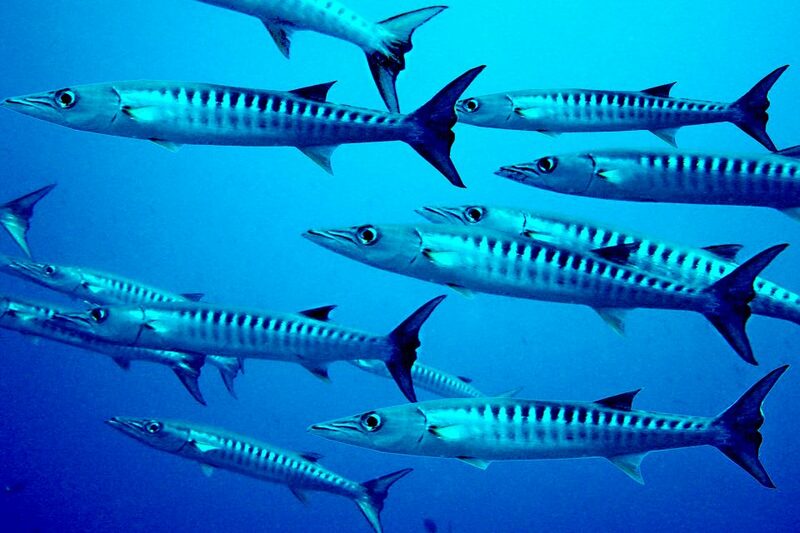 Additionally, it is the home to barracudas, groupers, schools of fusiliers, blennies and moray eels. For those of you who haven’t done any type of wreck dive, this is a good point to start and is definitely something that is out of the ordinary. Highlights: Aside from the wreck itself, Grey Reef Shark, Great Barracudas, Pufferfish and various Flatworms. 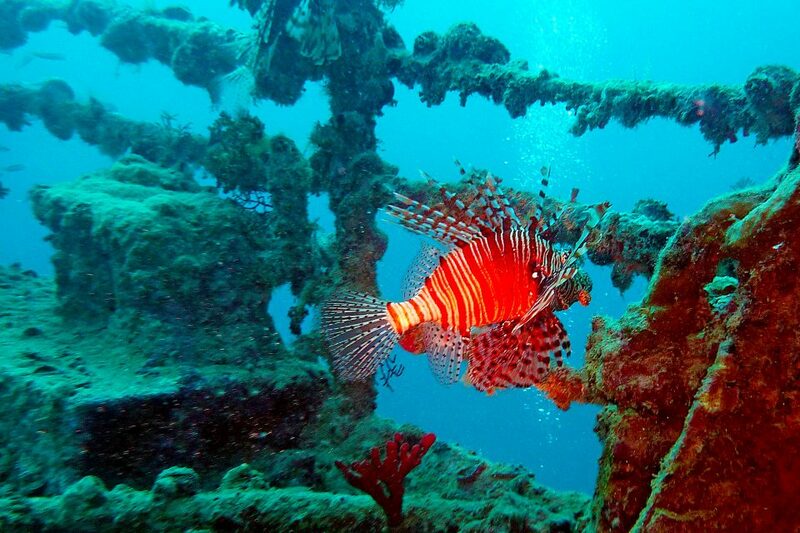 Insider Tips: If you find yourself falling in love with wreck diving, you might want to consider heading to Pattaya, a place which is loosely labelled as the “wreck diving capital of Thailand” Pattaya is home to five wrecks, namely the HTMS Kut, HTMS Khram and HTMS Mataphon which are all World War II era ships from the US Navy that were decommissioned and given to the Thai Navy. The navy, later on, sank these ships to serve as artificial reefs. You can also see the S.S Suddhadib and the Bremen Wreck no more than 1hr down the coast from Pattaya. Located not too far from Pattaya is an island called Koh Chang which is home to the largest shipwreck dive spot in all of Thailand! The HTMS Chang is 100m in length and can be explored thoroughly! Hin Bai or Sail Rock is one of Thailand’s best wall dives. 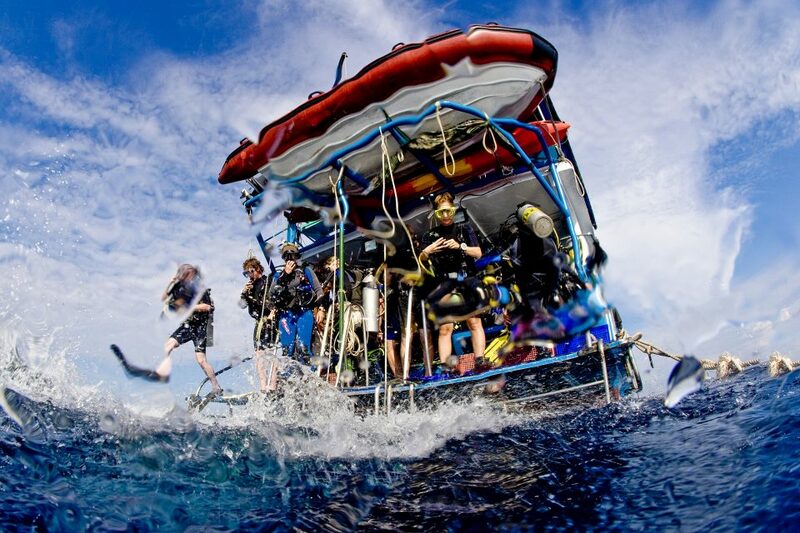 Lots of schools offer trips here which is something we highly recommend doing as the diving is just fantastic. People flock to Sail Rock as its vertical chimney is a fun ascend. The entire site is large enough to be explored by both students and more advanced divers as it plunges to around 40 meters. Highlights: Large schools of Yellow Fusiliers, Trevally, Giant Morays, Large Groupers, Batfish, and if you’re lucky, Whale Sharks. Thailand is in a tropical region and therefore one can go diving anytime, all year round. 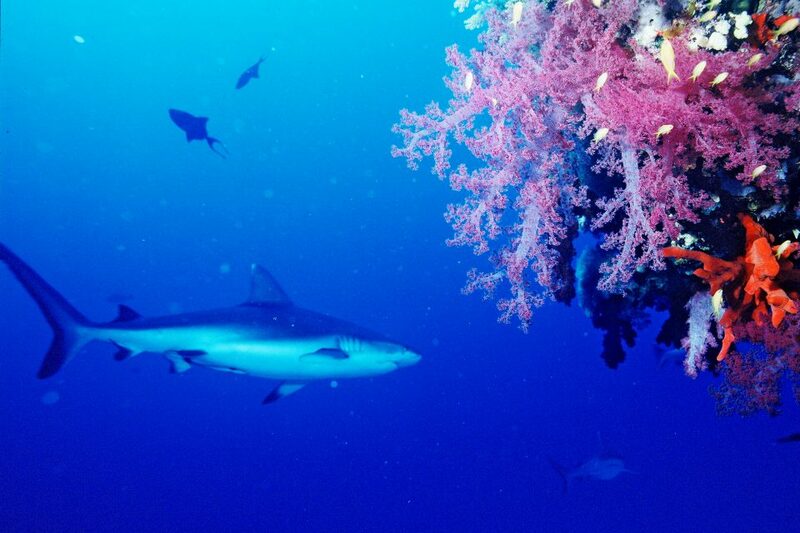 However, the best conditions exist between November and April as Sharks visit from February to May. With bathtub like temperatures of 28-31 degrees, your diving conditions could not be better. If you want to be a bit more specific, if you are visiting dive sites in the Andaman Sea, it is best to come from October to April. You have the Giant Manta Rays which arrive at the Similan Islands in March or April. During the months of May, expect heavy rainfall which is why a lot of the marine reserves are closed (until mid-October). During those times, diving in places along the Gulf of Thailand is a lot more recommended. This overview written by PADI about diving in Thailand is also a great resource when choosing where to go. Thanks for this article. I am a newbie diver so it is good to know these places. I’ve been wanting to try diving for the longest time but never really got to it. You picked such amazing spots for snorkeling and diving. The Similan Islands kinda reminds me of Palawan for some reason. I”m going to Thailand for the first time this year and I can’t wait! I’ve wanted to dive with whale sharks for a while now, I didn’t realize you could do that there. I don’t dive but there is no reason to let a good beach or crystal clear blue water go to waste. I love the waters and beaches in Asia. I have done some snorkeling though and these look like good spots for that also. Can you believe that I’ve spent the majority of the last 8 years in Asia and I never tried diving? Crazy huh? I’ll definitely put this on my bucket list for next year and your post will surely help to find the best spots! Bookmarked and shared! Hope to see you somewhere around… Cheers from Bangkok! I am certainly not a water baby but these photos make me want to conquer my fears and go diving. What camera and housing did you use to take the photos? They are amazing!!! 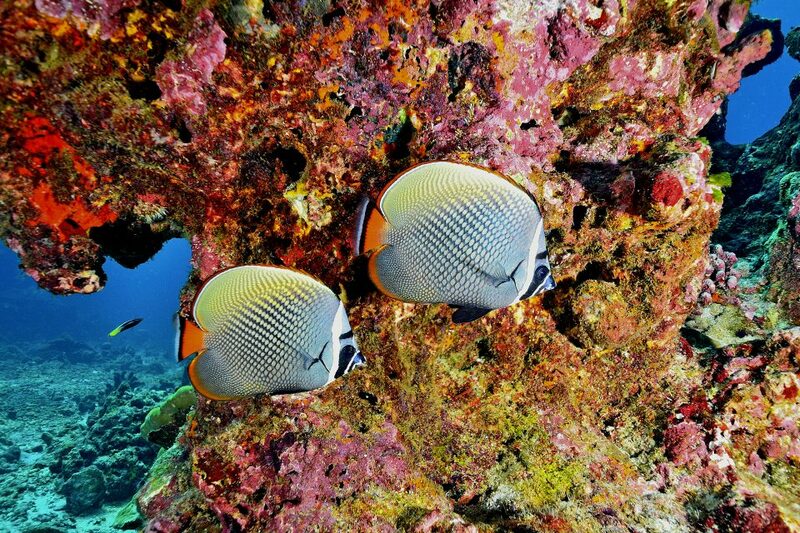 What great spots for snorkeling and diving. I’d love to visit in March or April with those giant manta rays, how amazing would that be. 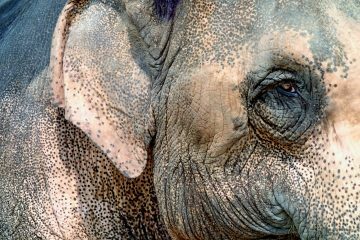 Thailand was the place where I learnt diving – oh, what a good decision it was! Wow guys! These dive stops really reignited my enthusiasm for diving – sometimes I put it in the too hard basket (because I’m not very good at it – as you know!) but then I see incredible pictures of the underwater world and just want to get back out there to see for myself! Thanks for the inspiration!